Rockford, Ill. – The American Hockey League’s Rockford IceHogs have agreed to terms with veteran defenseman Jared Nightingale on an AHL contract for the 2013-14 season. 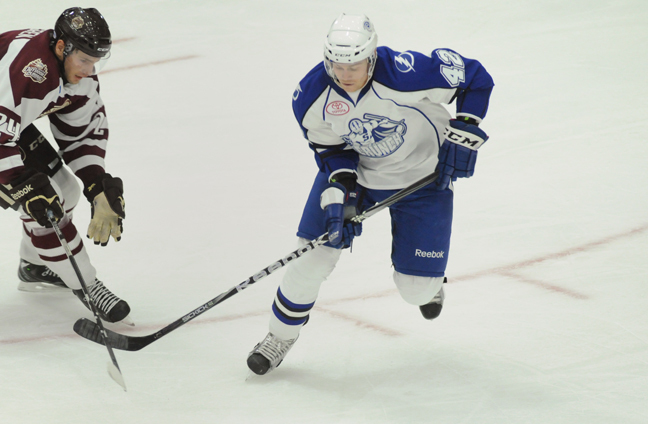 The 30-year-old d-man spent the 2012-13 season with the Eastern Conference champion and Calder Cup finalist Syracuse Crunch. During the season, Nightingale appeared in 56 games and tallied seven points (2g-5a). The 2013-14 season will be his ninth professional campaign. The former Michigan State Spartan has played in 320 career AHL games with the Springfield Falcons, Iowa Stars, Hartford Wolf Pack/Connecticut Whale, Chicago Wolves and the Crunch. During that time he has racked up 45 points (13g-32a). The Cheboygan, Michigan native served as an alternate captain for Michigan State for three straight seasons (2003-2006) before going undrafted and signing with Springfield for the 2005-06 season.